Karl Barth (1886-1968) was professor of dogmatic theology at the University of Basel, Switzerland. 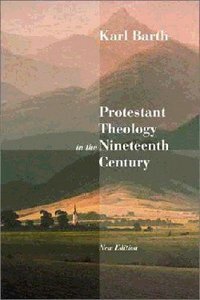 About "Protestant Theology in the 19Th Century (New Edition)"
Karl Barth was described by Pope Pius XII as the most important theologian since Thomas Aquinas, the Swiss Pastor and Theologian, and Barth continues to be a major influence on students, scholars and preachers. Barth's theology found its expression mainly through his closely reasoned fourteen part magnum opus, Die Kirchliche Dogmatik. Having taken over 30 years to write, the Church Dogmatics is regarded as one of the most important theological works of all time, and represents the pinnacle of Barth's achievements as a theologian. Some of his other major works include The Epistle to the Romans; Evangelical Theology, Christian Life; Christ and Adam and The Humanity of God.